For decades, many West Papuans have been living in the Western territory of Papua New Guinea without any official legal recognition of their status, neither as refugees nor as citizens. They arrived there fleeing from Indonesian occupation and, as of February 2016, they are considered to be approximately eight thousand. Some of the inhabitants of the Western province have been granted a Permissive Residency Permit, but they constitute a minority. The Government, which has repeatedly ignored asylum claims by these individuals until now, has recently indicated that it will review the status of these people in the framework of the formulation of a refugee and resettlement policy. Papua New Guinea's Foreign Minister Rimbink Pato has indicated the government is reviewing asylum claims by over 1,000 West Papuans. It's also beginning a registration of all West Papuans living in PNG, many of whom have been there for decades without full refugee status or citizenship. The claims reviewed by PNG Immigration and Citizenship Service Authority reportedly relate to West Papuans staying in parts of Western Province. Western is located along the border with Indonesia from where many West papuans have fled over the years.It's estimated there are around ten thousand West Papuans in PNG seeking refuge, although due to the flow of traditional border crossers across the porous land border with Indonesia, the true figure could be much higher. However while around 2-thousand of these Papuans residing in East Awin of Western Province are granted free Permissive Residency Permits, the remaining seven to eight thousand in other parts of the country have long lived in a kind of limbo as stateless people. A Catholic Health Coordinator in Western Province, Sister Anna Sanginawa says hundreds at the East Awin camp last year signed documents for citizenship but are still waiting to hear about the outcome. ANNA SANGINAWA: "Yes uncertainty and they have been going coming and struggling. But where they are they were given a place to stay which they make their small gardens. They make their business out from that soil. It is not like they are in the fence or the whatever that we see from different refugee camps but now we don't call them anymore refugees here." JOHNNY BLADES: "They just blend into the general populace yeah?" ANNA SANGINAWA: "That is right so they are kind of living a normal life like the rest of us Papua New Guineans." Fred Mambrasar is an advocate of West Papuan independence, who fled into PNG from Indonesian military aggression in the mid-1980s. He is among around 1500 West Papuans living in Port Moresby without citizenship, who he says successive PNG governments have ignored the plight of. FRED MAMBRASAR: "Rimbink Pato speak but must action. Not just speak but em must action. Because sometime the government tok yes we grantem citizenship but only for some people. but like me and other West Papua, not yet." The government's new moves to register West Papuans in the country and review their asylum claims comes as the Foreign Minister indicated that most of those asylum seekers in the Manus processing centre, who mainly come from the Middle East and Asia, have had their claims determined. Mr Pato said so far 361 asylum seekers had been granted refugee status in PNG, although it remains to be seen where they may be resettled. The PNG government only recently set up a refugee division and appears to still be formulating its resettlement policy. 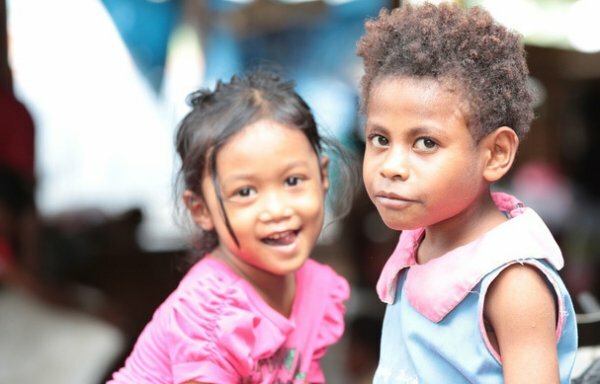 However for many PNG citizens, the resettlement of these refugees is controversial given the festering backlog of West Papuan refugee claims that have been ignored for decades.